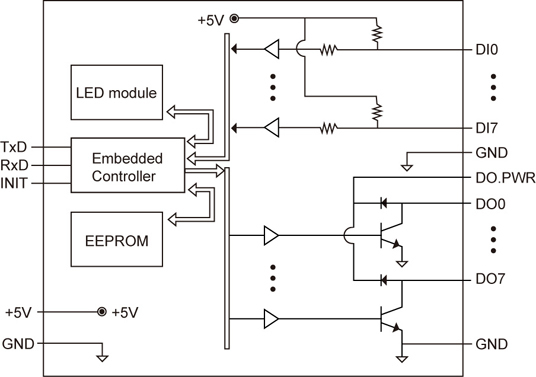 I-87055W has a serial bus (RS-485) communication interface with DCON protocol. 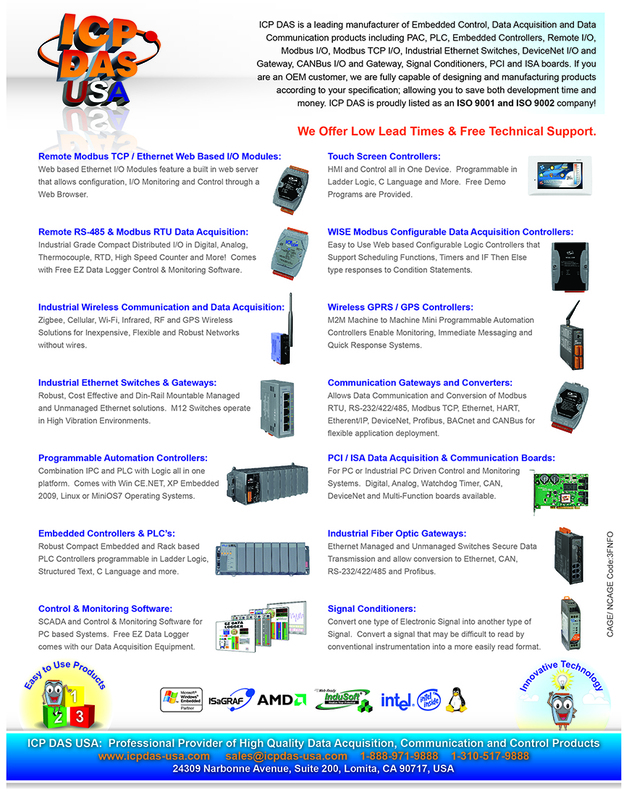 It can be plugged into our WinPAC, XPAC, and ViewPAC controllers. 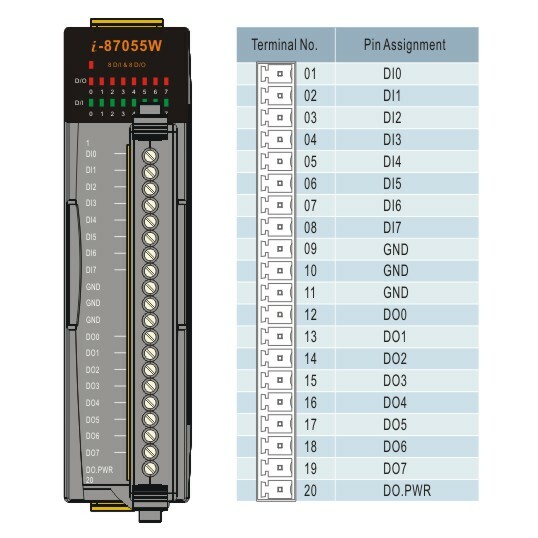 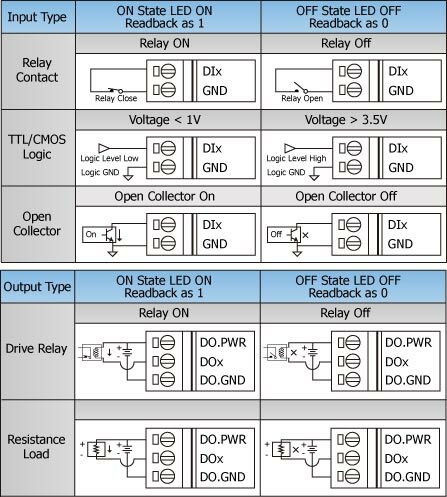 I-87055W is a 8-channel Non-Isolated Digital Input and 8-channel Non-Isolated Digital Output Module with 16-bit Counters. 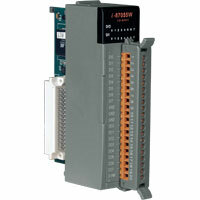 I-87055W is a serial cartridge based I/O module that offers the ultimate in cost effective flexibility.